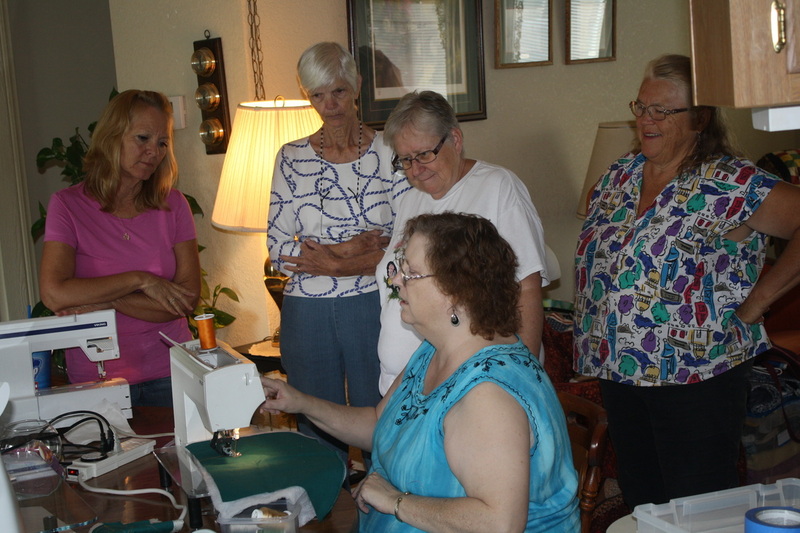 Back to Basics group enjoying the 2018 Shop Hop luncheon. 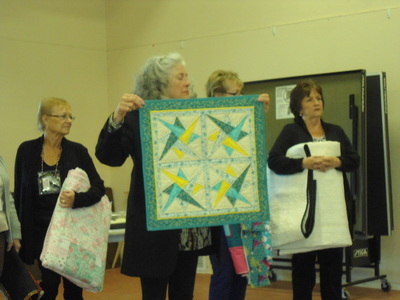 The purpose of our friendship group is to learn new skills, grow creatively and above all, have fun. Our group meets the fourth Tuesday of each month, rotating the location of the meeting at our member's homes. 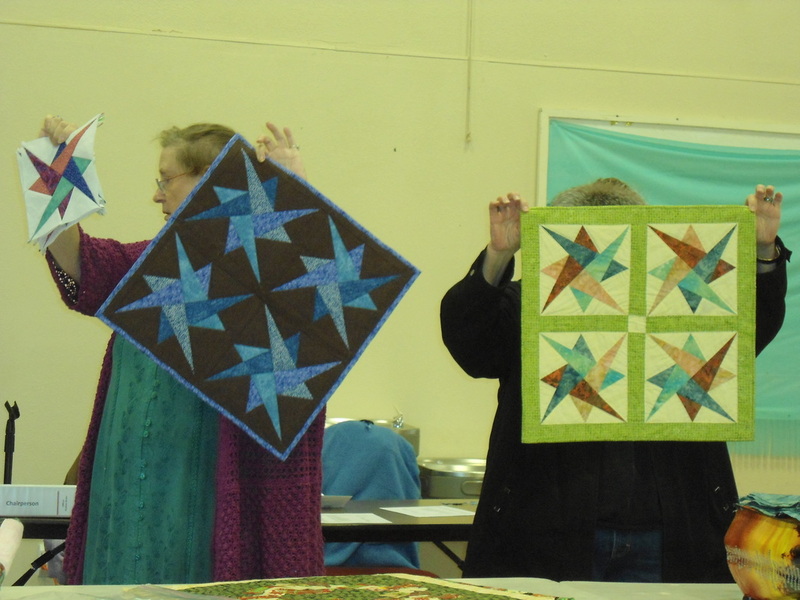 Some of our recent projects have been a Block Exchange using The Broken Arrow block pattern; mastering block designs featuring half square triangles, flying geese, and the iconic Card Trick. 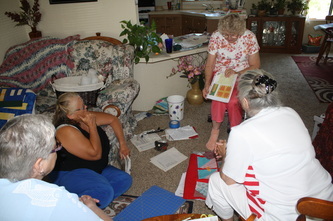 We have just embarked on a new project that will stretch our creative skills. Each member has selected a theme and over the next two years members will have 2 months to create a 15.5" block that depicts the theme chosen. 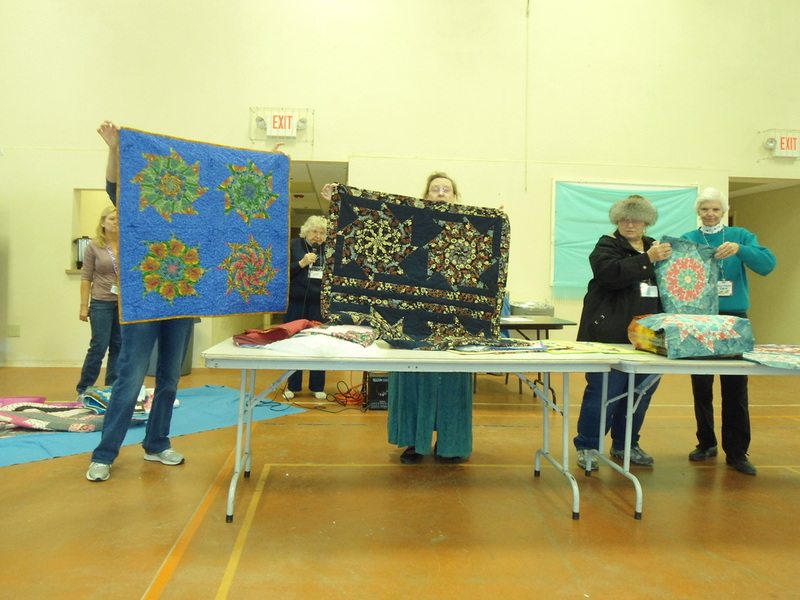 Some of the themes chosen are "Girls just want to have fun," "Old sayings," "My favorite place," "It's raining cats and dogs," and etc. 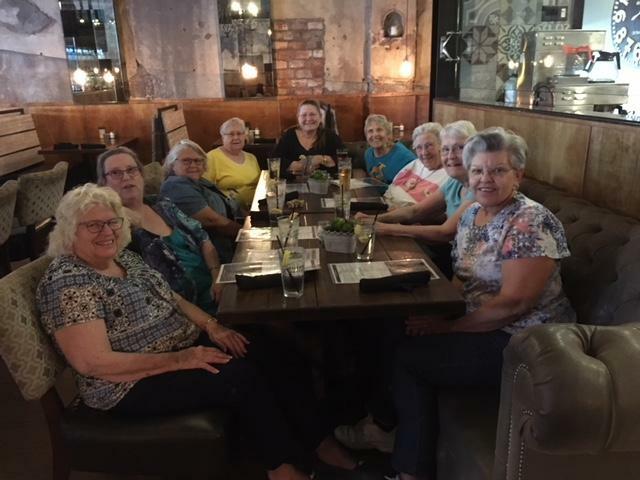 ​Our group also gets together for fun outings such as the 2018 Shop Hop, annual birthday luncheons, and a holiday party. Working on the latest project(s). 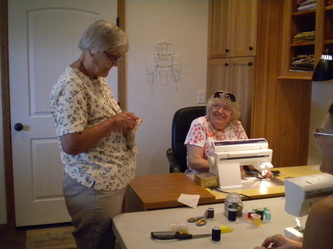 R- Maureen and L - Sandi setting up. Sandi showing off her finished project. 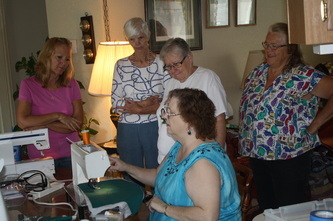 Nancy Page hosted the group. What's happening? 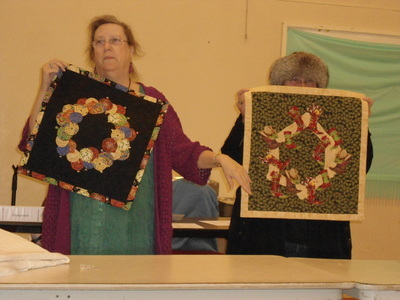 Those that have already started or soon will start the Circus Train Paper piecing project worked on that project with guidance from Susan and Pat. 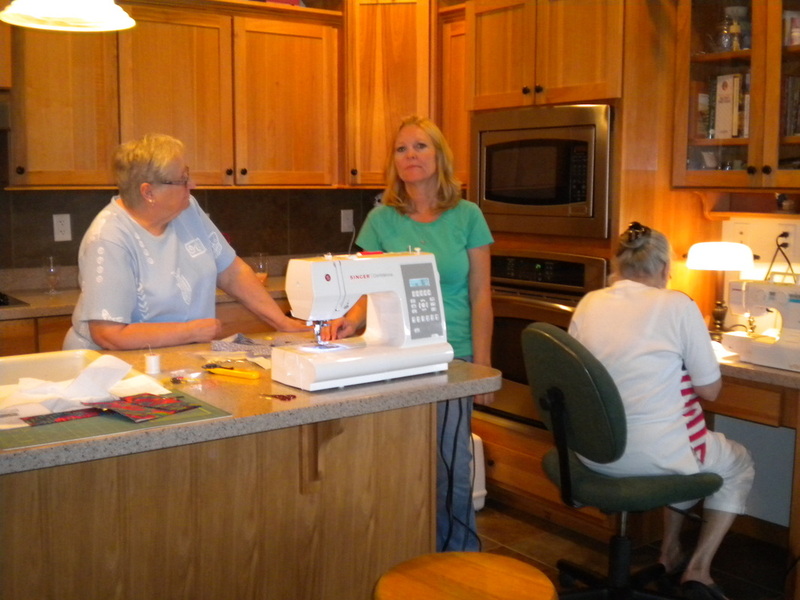 Will soon start on our Broken Arrow group exchange project. The background fabric will be purchased as a group so all of the exchanged blocks will coordinate (each person will need 2 yds. 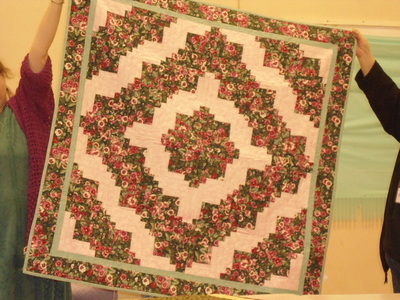 of the background fabric to make 16 required blocks. 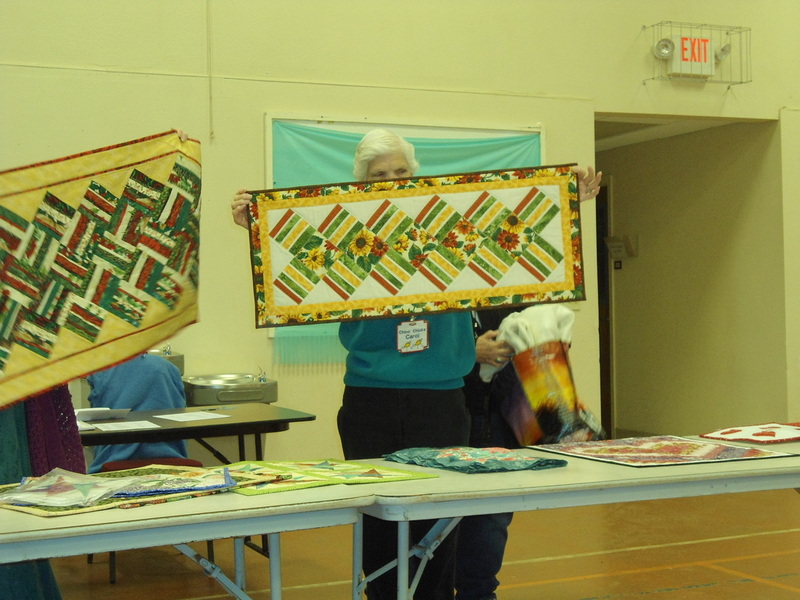 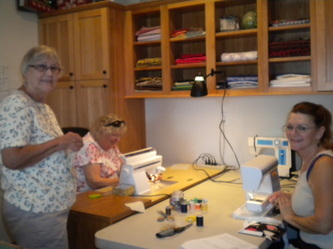 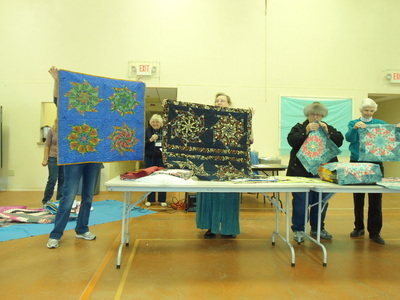 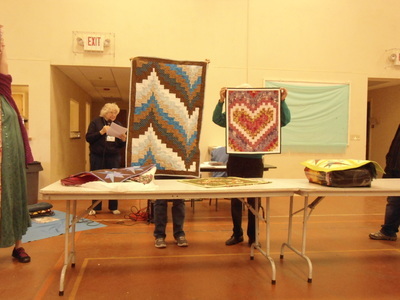 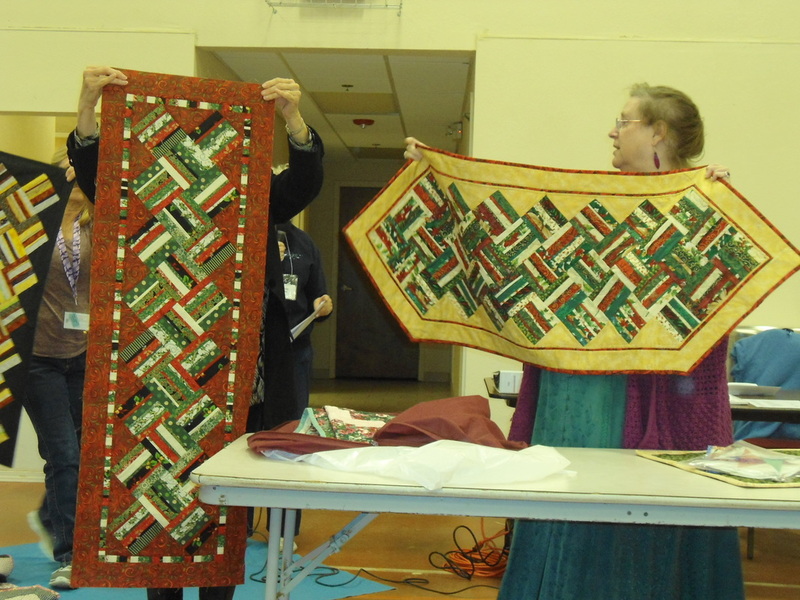 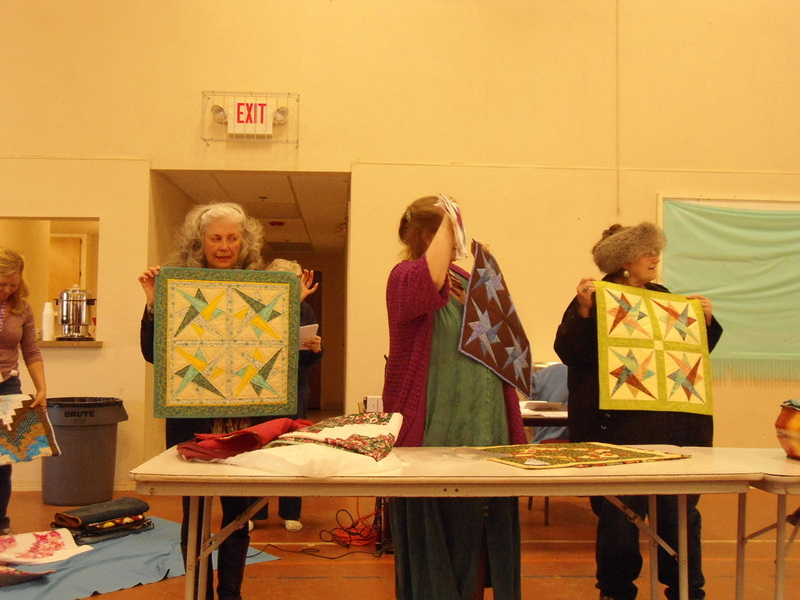 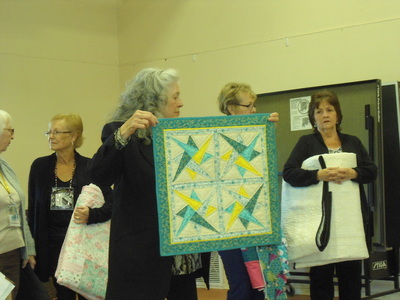 Members brought samples of the other fabrics planned for their quilt. We are hoping to avoid duplication of fabrics and color as that could be boring after the blocks are finally exchanged. 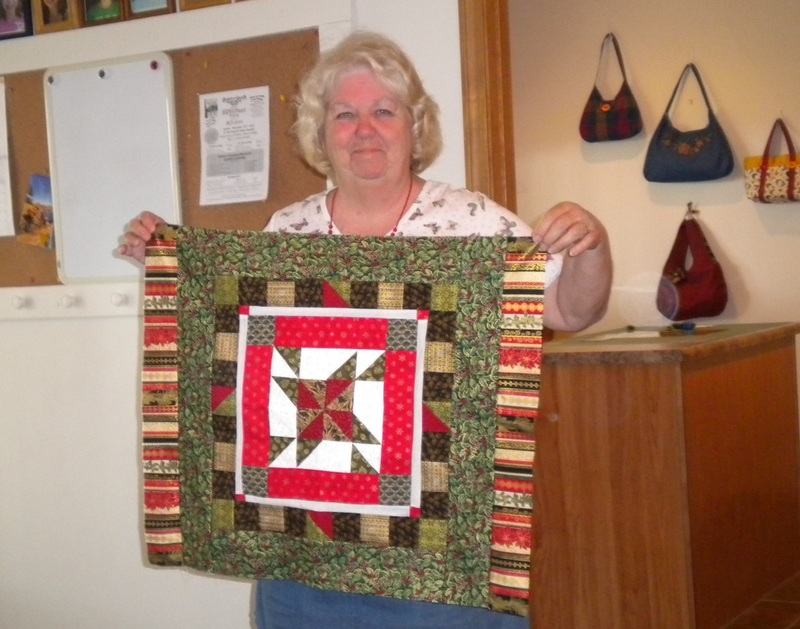 Pat has an example quilt to show. Cannot wait to see the completed quilts. We are a relaxed group! 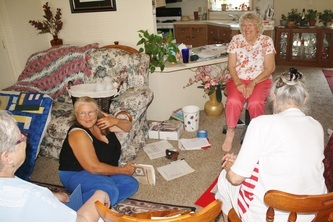 Enjoying their recent meeting to decide whether we will keep the name as is (Fourth Tuesday) or will select a new name for our group. 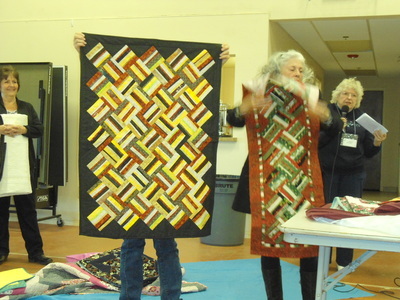 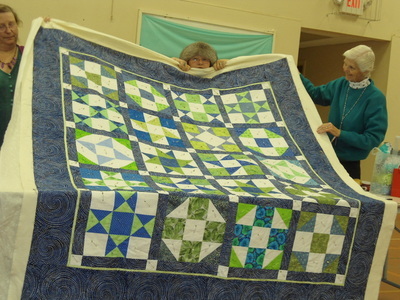 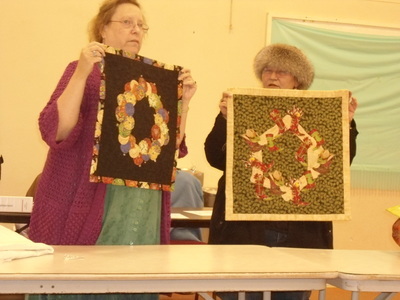 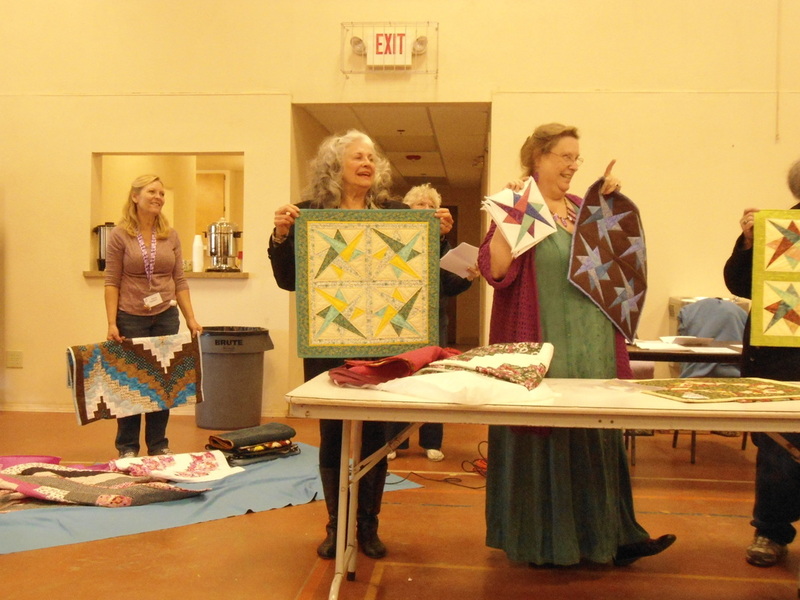 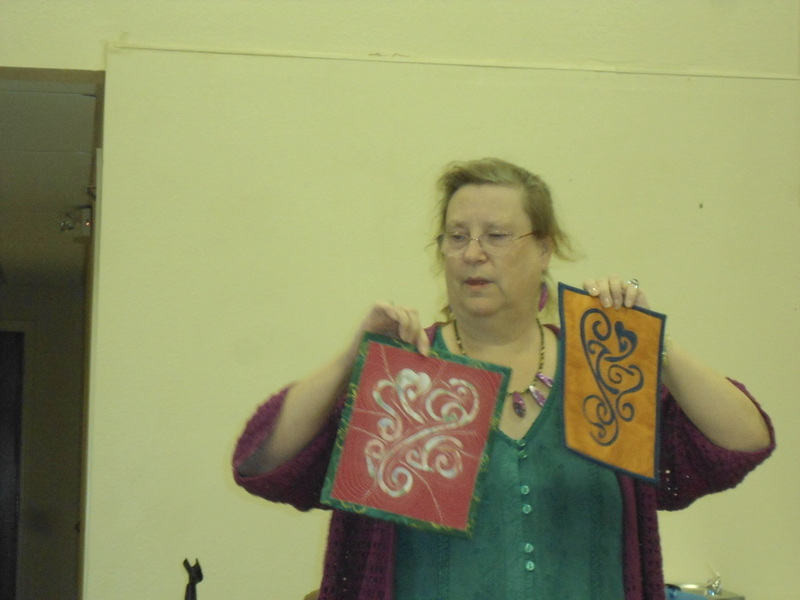 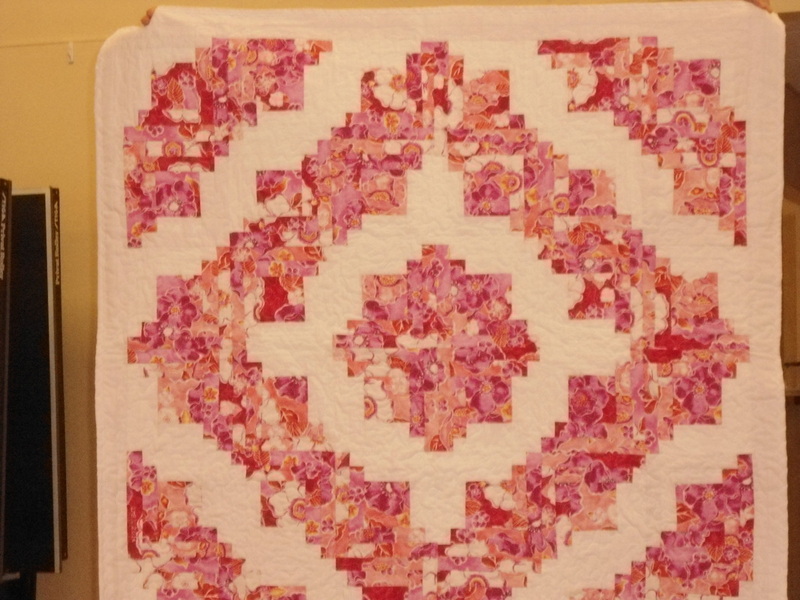 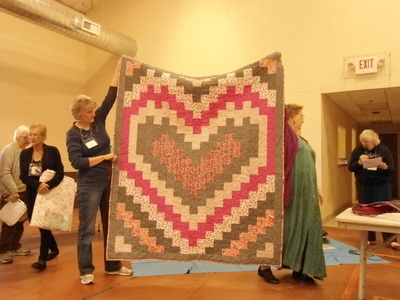 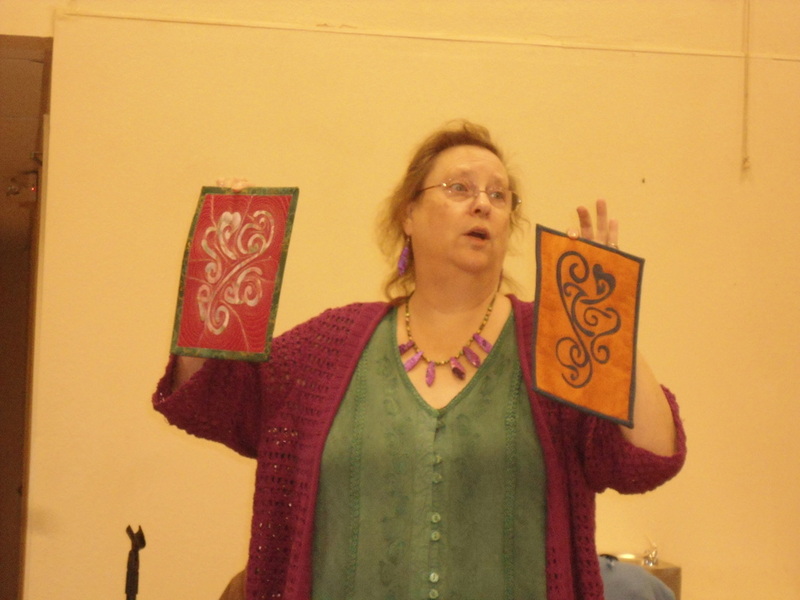 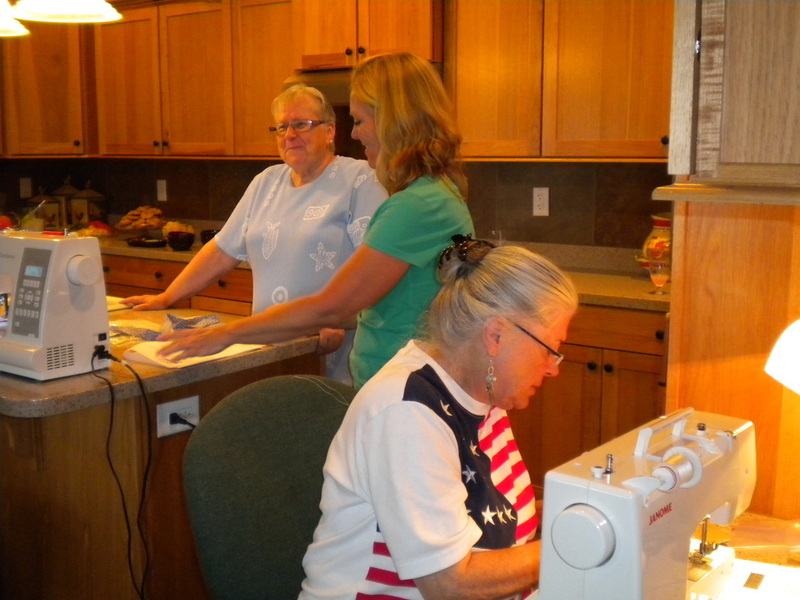 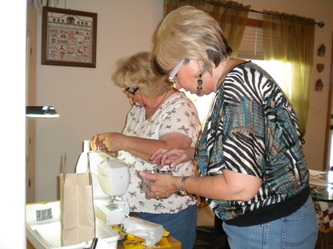 Susan Gates Harms, guest instructor, demonstrates free motion quilting techniques.